Is it Time to Get Virtual Phone Numbers for France? We include a variety of advanced features like local ring tones, auto attendant, fax forwarding, sequential ringing and more. Communicating with colleagues, clients, family members, and friends when moving between the United States and France has its challenges, especially if you rely on voice communications. Getting virtual phone numbers for France is a viable communications solution that will make it both easy and affordable to stay in touch. Here’s how a France virtual number can help. First, you’ll need a convenient way for your US-based callers to reach you while you’re in France. International virtual phone numbers for USA callers look and act like any other toll free or local number; however, you’ll set up your destination phone number for a phone that you use and answer in France. This could be a France mobile phone that you use while in the country, a hotel room phone, or a physical phone in your office in France. For example, you could get a virtual phone number for France that is local to Houston, Texas or toll free. Your colleagues in Houston can dial a local number, yet your phone in France will ring. To your callers, the cost of the call is minimal. If they’re in Houston, only local toll charges, if any, would apply. Had you given them your direct line in France rather than a global virtual number, they might not call. Not only is dialing a foreign phone number intimidating for some people, many will have legitimate concerns about the potential cost of the call. France virtual phone numbers eliminate these barriers. What about your contacts in France? Virtual phone numbers for Paris, Dijon, Nice, Orleans, and dozens of other cities are available as are toll free national numbers. If you travel between countries, it makes sense to order a France virtual phone number for your French contacts to reach you regardless of where you might be at any given time. In this example, you’d order a France virtual phone number and change your destination phone number as needed. For example, when working in France, you could have your destination phone number ring to your mobile phone, local office, or hotel phone. Then, when you return home, you could switch your destination phone number to your main office number or mobile phone. Again, your callers would dial a local or toll free number, yet your phone would ring to a phone located elsewhere in the world. The audio quality is exceptional thanks to modern fiber optic networks and PSTN technology. We also include a variety of advanced features like local ring tones, auto attendant, fax forwarding, sequential ringing and more. Meanwhile, you could use your France virtual phone number to make cheap international calls when you’re in France. For example, you could temporarily change the ring to number to your home phone number in USA. To speak to your family, you’d make a local call — yet your call would be routed to your home phone. Our contract-free France virtual phone numbers are available in prepaid buckets of minutes. Simply pick the number type (toll free or city-specific) and the number of minutes you intend to use for the month and begin using your global virtual phone number. There are no contracts, and you can cancel at any time. Whether you need a France virtual number for ongoing communications or for a season, our flexible contract-free plans allow you to stay in touch conveniently and affordably. Author 1118-signalPosted on September 21, 2016 Categories france virtual numbersTags France Virtual Phone Numbers, virtual numberLeave a comment on Is it Time to Get Virtual Phone Numbers for France? Since the France call forwarding number looks just like any other phone number for French businesses, your callers will feel as if they’re dialing a business located in France. France is the world’s fifth largest economy as of 2013, according to the U.S. Embassy. Not only is France thriving economically with a highly skilled workforce and strong agricultural industry, it is also the second largest trading partner in Western Europe and has a stable business climate that welcomes foreign investment. If you’re researching France as a potential investment or market, consider getting a France remote call forwarding number. 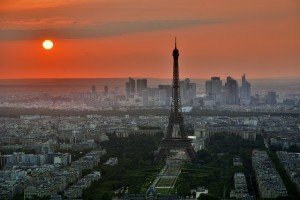 Give French callers a local (or toll free) phone number for France to call. This remote call forwarding number is then call forwarded to the international phone number of your choice. Create a local presence in France. Since the France call forwarding number looks just like any other phone number for French businesses, your callers will feel as if they’re dialing a business located in France. They do not need to be concerned about calling a business located elsewhere in the world or the costs associated with making international calls. With local ring tones, your phone calls will also sound just like any other call made in France. Make low-cost international phone calls. This is an alternate use for remote call forwarding numbers in France, but it’s handy nonetheless. For example, if you are in France on business but need to report back to your main office in the United States, you could simply change the ring-to number for your France remote call forwarding number temporarily so that it rings to your main office in the U.S.. Not only does this connect the call to your international office without requiring operator assistance or incurring hefty international long distance fees, it allows you to take advantage of the low per minute international call forwarding rates of your France remote call forwarding plan. Why Sign Up for a Remote Call Forwarding Plan Now? Our virtual phone numbers, whether for France or anywhere else in the world, are available on a month-to-month basis. 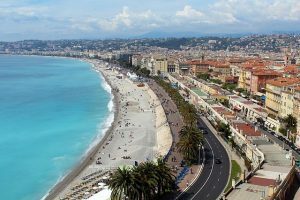 Whether you need a France remote call forwarding number for a single business trip, for a few months at a time, or for the long term, you can sign up for a predetermined “bucket” of minutes each month. As your needs change, you can either continue the plan, but with a higher or lower amount of minutes, or cancel it with no repercussions whatsoever. There’s no contract and no long-term commitment. Meanwhile, when you are signed up and using your France remote call forwarding number, you can enjoy a full selection of advanced features such as advanced call forwarding, sequential forwarding, simultaneous ringing, auto attendant, voice mail to email, and more. Optional add-ons to your France remote call forwarding number include call recording and rollover minutes. A variety of regional and toll free numbers for France are available. Sign up for a France remote call forwarding number today. Which cities do you have a local presence in with remote call forwarding numbers? Share them with us on Facebook. View available France virtual numbers.